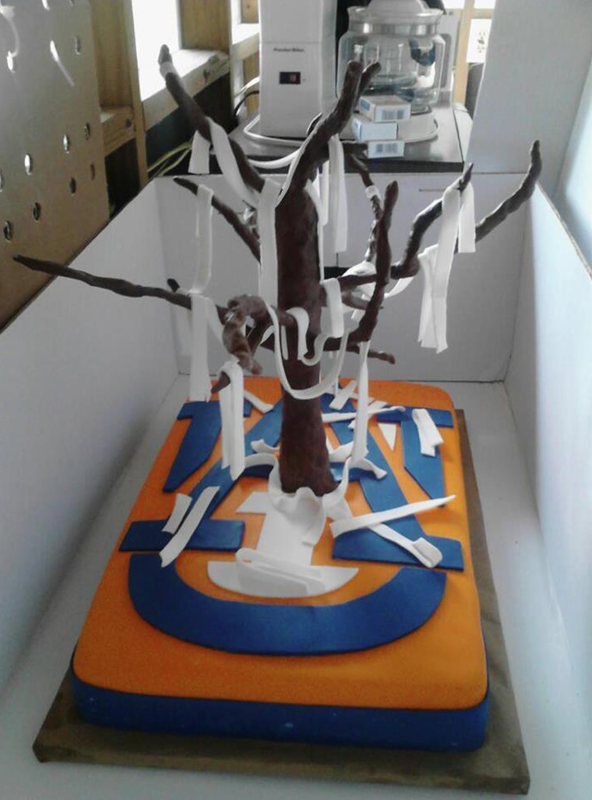 Sadly, the increasingly popular Toomer’s Oaks grooms cakes now actually look realistic (we’ve only seen one or two that have been able to pull off greenery). Still, here’s another fine addition to the delicious tradition from TWER reader Jim Sewell whose son Robby was married over the weekend in Brooklet, Ga.
Related: Let then eat Cam. Can you eat the toilet paper?